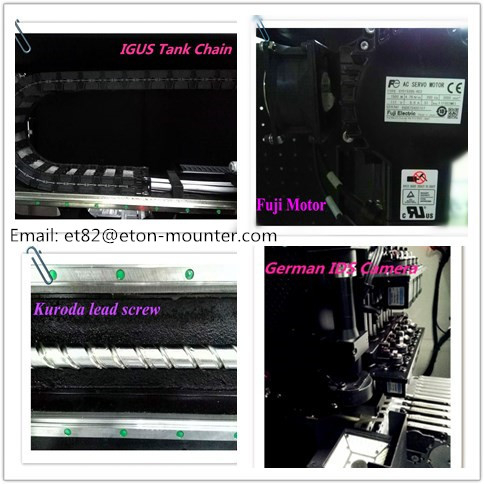 HT-E6T SMT pick and place machine is for led, Lens, capacitors, resistors, IC, Shaped components, etc. Apply to Led lamp manufacturer, PCB production line etc . HT-E6T is a single module single system multi-functional SMT pick and place machine. Vision for the flight identification, mark correction. And it’s identified the correct position by camera. So it’s high precision and good stability.